The older we grew the more questions we had. 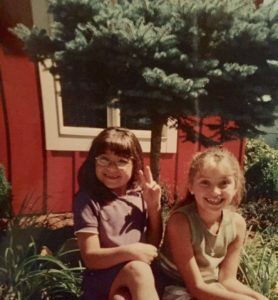 Valerie grew fascinated with the science, asking many intensely detailed questions about anatomy and physiology, and I grew fascinated by the art of creating a welcoming and fun environment by watching the effortless ability that my father had for setting people at ease. A doctors office is notoriously scary and confusing for many, but he proved that by taking time to educate others, it didn’t have to be. Each question we had, my father took the time to sit down, understand and teach us in the same way that he did his patients. We hoped that one day we could also inspire and help people in the same way that he did. 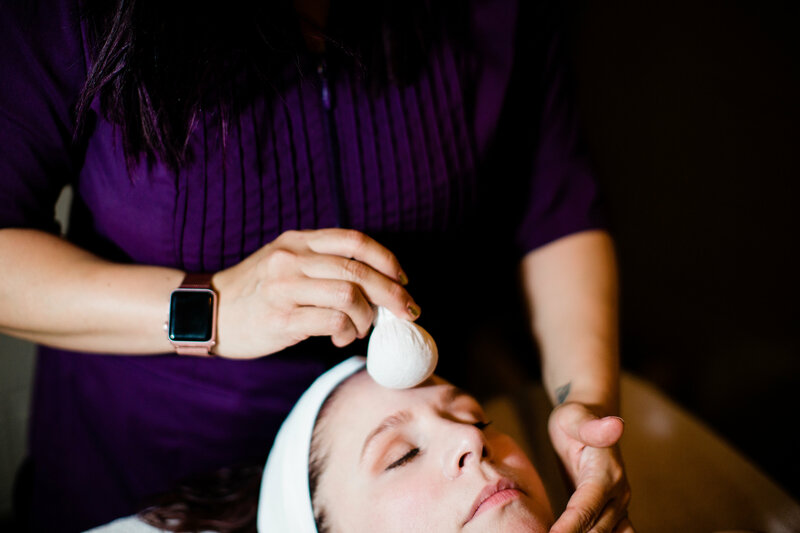 Naturally, Licensed Massage Therapy seemed like the perfect way to blend our favorite bits of the science, art and customer care that we grew to love. We had no idea where this interest would be taking us in the future. In 2015, we both completed our training as Licensed Massage Therapists at The Healing Arts Institute. Eager to start working, we realized that this was the perfect time to create an environment that was completely of our own vision and design. From this, OZA Day Spa was created. 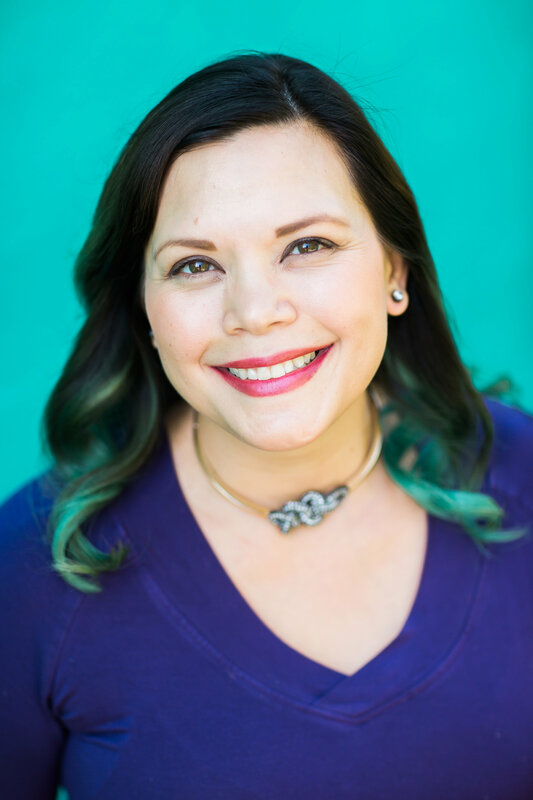 Valerie and I started with the goal of bringing quality and affordable Licensed Massage Therapy to our community. 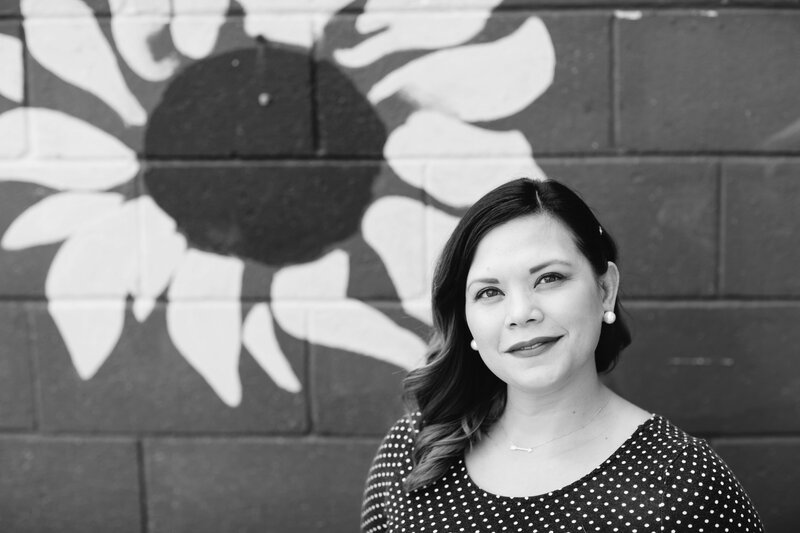 As we grew, we realized Licensed Esthetics would be a great way to expand our services and our own education. 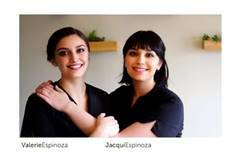 In 2016, we became Licensed Estheticians adding facial and waxing services to our business. Why Eminence Organic Skin Care? OZA Day Spa decided to partner with Eminence Organic Skin Care in 2016. 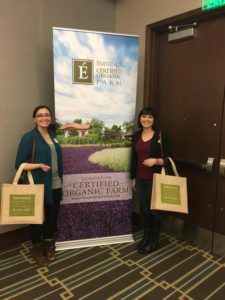 As skin care professionals, we are thrilled at the extra measures Eminence takes to ensure not only the quality of their organic products but the quality of their education. Eminence shares our same belief in treating the whole client and the root cause, not just the symptoms of the client. As business owners we respect the immense efforts that Eminence takes to give back to the environment, children and their employees. Finally, as siblings, we were greatly impacted by the story of the company owners, Boldijarre and Atilla Koronczay. As, brothers, they embraced and lived through similar challenges as they started their company in Vancouver that we have. Even today, Valerie and I refer to their story when we need inspiration. We are so proud to be partners with a company like Eminence. We continue the tradition of quality care and education that is woven into the fabric of every single product and person who is part the Eminence family. 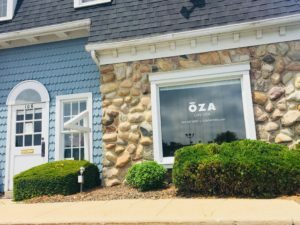 We continued to grow OZA Day Spa thoughtfully and carefully. It is not only our belief, but our goal, that every one of our clients walks out our door feeling better and with a greater understanding about the concern or condition they walked in with. From explaining what exactly having a “knot” in a muscle means, to talking to a nervous first-time eyebrow wax client about what to expect, we always take the time to educate. There will always be challenges not only in business, but in life. 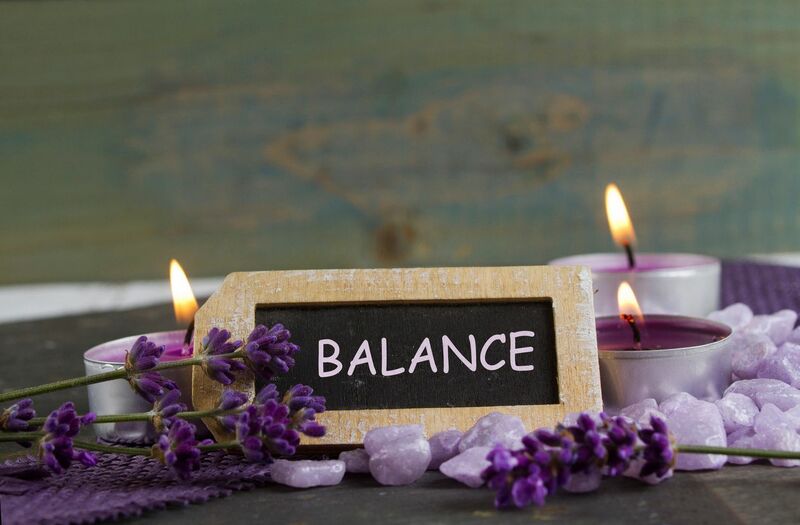 The best advice I could give to my younger self and anyone starting something new, be it a business, Licensed Massage Therapy or Esthetics school, or even a new hobby, would be to allow your plan to go off the rails. It seems like having a set plan with a very strict, organized and color-coded idea of what your future should look like is the best way to achieve your goal. The truth is, that some of the challenges ahead are equivalent to a giant curve ball that happens to be lit on fire with no way to predict what direction it could go. And that can be great! Instead of letting it upset you, use it to learn and create something new or go in a different direction. When I think about our journey, I feel the most pride in the relationships and trust we have built with our clients. Valerie and I have been fortunate enough to care for many different kinds of people with many different concerns. We have even continued to educate and assist clients in as far as North Carolina, Montana, and California as well as our surrounding states. I could have never predicted or planned how much of an impact we would have on not only our clients but their families as well. We are forever thankful to all of our friends and family that have supported us. And especially the ones who bought our hand soap. These ladies are such positive rays of light! Both Valerie and Jacqui have great full brows which showcase how determined and focused they are. They also have a kindness and warmth to their eyes that is welcoming and very hospitable. In Chinese Face Reading, the eyes reflect what is inside of the heart and these ladies have a lot of warmth, brightness and love to offer to the world. They both exude a huge sense of enthusiasm and dedication to what they focus on. They both possess the strength to help people feel comfortable and nurtured. They not only strive towards excellence, but these ladies also raise the bar! What’s interesting about this pair is that Valerie seems to be more extroverted and Jacqui seems to be more introverted at first glance, but a deeper look at their features according to Chinese Face Reading actually demonstrates the opposite. 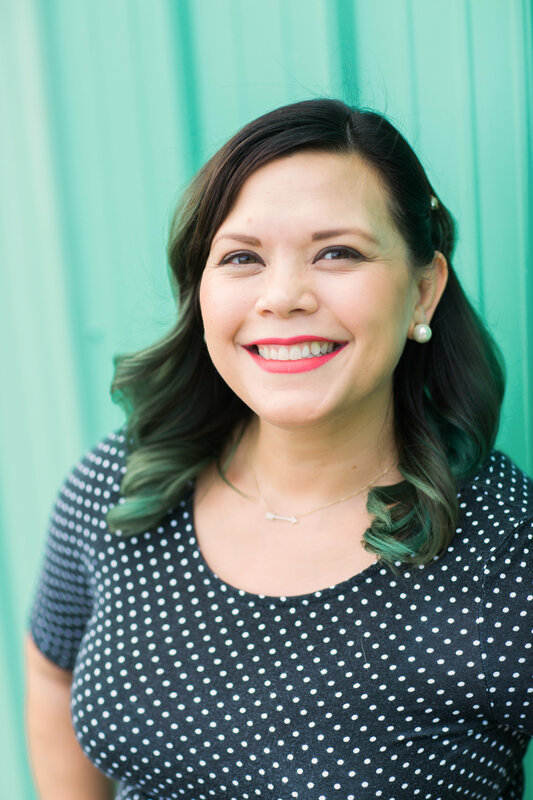 Valerie has what is called seductive peach luck, which means she can draw people in with her wisdom and kindness. When someone has this type of peach luck, they are great listeners and tend to have the experience that people can trust them with their deepest secrets. Valerie is highly intuitive. Jacqui has what is considered to be sparkly peach luck, which means her spirit radiates a sense of play and fun. When someone has this type of peach luck, they have a great sense of humor and are very social. Jacqui is highly cerebral and logical. They both possess a strong supportive nature, not just towards each other, but towards the world. Their clients are so fortunate to have access to the care they provide – what a pair! 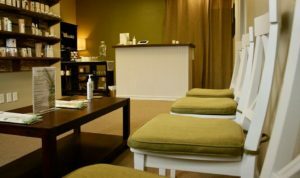 Next time you are in Perrysbury, Ohio, visit http://ozadayspa.com inside of Perry’s Landing. You have captured the spirit of both these extraordinary young women. They are not only interested in improving the physical well-being of their clients, but they will go the extra mile to share their knowledge and positive world view. I truly appreciate them! Thank you for sharing them with your readers! Jacqui and Valerie thank you for sharing your journey, very inspiring story. Such a supportive family you have, looking forward to seeing you and your business grow! These ladies really are a Ray of Light! 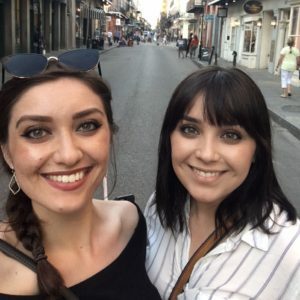 It is so inspiring to see how two sisters can come together and highlight their strengths to grow such an awesome business. This face reading opens my eyes to how special our features really are to each of us. Thinking I need to plan a trip soon to Perrysburg! What an awesome journey!